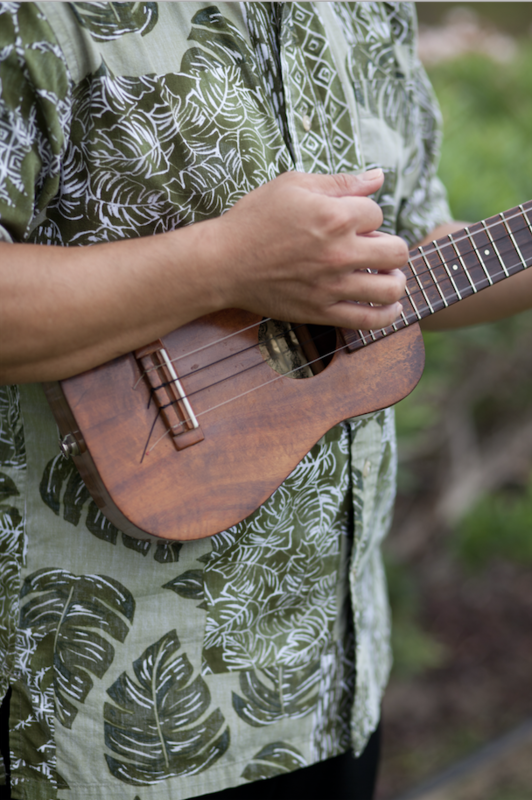 The opening act is Halau Hula ma ka Pu’uwai a ka Mana’o, performing from 4:00–4:45pm. 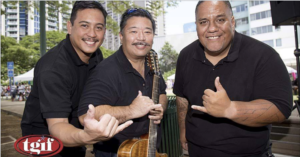 Ke Kani Nahe is a traditional Hawaiian trio that has been performing around the island for many years at private functions, shopping centers, and restaurants and they just enjoy spreading the love of Hawaiian mele. Members include Derek Higa, Samson Sang and Jesse Gregorio. Places they have performed regularly in the past include The Town Center of Mililani, Waianae Mall, The Willows, Lola’s Grill and Bar, The International Marketplace, Nico’s and have also been finalists in the Kani Ka Pila Grille Talent Contest and KITV’s Kanikapila Showdown. Their performance will run from 5:00–7:00pm.